Furnished double room in a large house in the West End area of Lincoln. 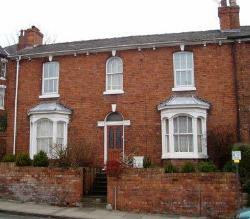 We have available a large fully furnished double room, in a large beautiful house. Only a 5 minute walk to town and the train station. The double room comes with new bedding set and towels to make your move easier. Also included are all bills including TV and Broadband. We also have other rooms available, please contact for more details.